Whether you are installing a new 12V TV in you RV or replacing an old one, you might not be sure what brand is the best. 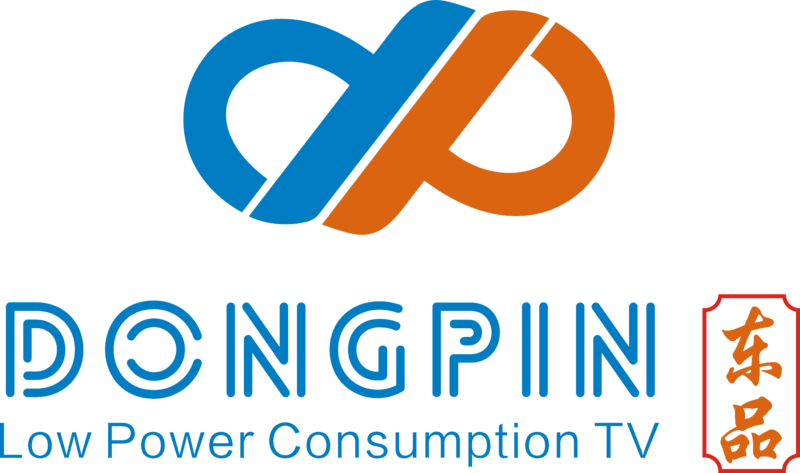 You might be familiar with the brand of 12V RV TV that comes factory installed in a motorhome, travel trailer, 5th wheel, camper or toy hauler, but is that the only option out there? Do you need to worry about purchasing a 12 volt TV that is specifically made for RVs, yet costs a lot more than other 12v televisions? What's the difference between a normal 12 volt TV and an RV specific 12 volt TV? Read on and have all these questions, and more, answered! Do I Have To Get A TV Specifically Made For An RV? Can I Just Get A Regular TV or Does It Need To Be An RV Brand TV? RV TVs Versus Regular TVs- What's The Difference? What About Cold And Condensation Issues? How Cold Is Too Cold, For ANY Camper Television? 12 Volt Television or 120 Volt Television? We chose Supersonic as our overall best 12 volt TV brand because they offer the best availability for a wide variety of screen sizes and have comparable (if not better) consumer ratings than the competition. Here are our reviews for which brands of 12 volt TVs are best overall. If you're looking for information on RV TVs, simply jump to the 'Guide to RV TVs' below. When it comes to a 12-volt TV for RVs, the Supersonic 12-volt TV line is an affordable way to go. They offer RV compatibility right out of the box with their 12-volt 'cigarette' lighter style power adapter (all but 22" TV) that plugs into an available 12-volt outlet in your travel trailer, motorhome, camper or toy hauler. With sizes ranging from 13 to 24 inches, Supersonic has a 12 volt television to fit your camping needs. Looking for a 12 volt RV TV/DVD combo (say that 5 times fast!)? Supersonic has a full line of 12-volt TVs with DVD player built right in. The advantage of going with a 12 volt TV/DVD combo is that you get the benefit of having a DVD player without taking up any more of your precious space, which is usually at a premium in an RV. 12 volt RV TVs are fairly common in the RV world since it is the go-to brand for motorhome, travel trailer, 5th wheel and toy hauler manufacturers. is the only manufacturer of 'true' RV televisions. And you are going to pay for the 'pleasure' of having a RV TV in your rig. Many people ask, "Can I just get a TV from anywhere to use in my RV?" The good news is yes. The bad news is that you still have to know a few things about the TV and how it can or cannot work in your RV. There are things to consider such as will you be running it off shore power (120-voly) or off your batteries (12-volt)? We cover these things and more in our RV TV guide. It's a very good question. Can you use a 'regular' TV in your RV or do you have to get a RV TV brand that is 'made' for RVs? The answer is an overwhelming 'No, you don't need an RV specific brand TV." We will dive into this further below. First, let's point out that some people claim TVs don't belong in an RV whatsoever. After all, aren't you going camping to get into the great outdoors? Why would you get to a campground and then simply sit inside watching TV? Don't be so quick to judge, people! There are many reasons to have a TV in your RV if you so desire. We can certainly name a few. Well, first, most RVs already have a TV installed, so you're kinda stuck with having an RV TV. What about rainy days? If you're stuck in a campground with your family with nothing to do, well, a TV can come in very handy for entertaining. Also, people still like to have their evening entertainment. What's better than snuggling up with your partner in bed and watching a good movie after a long hike? What about those who live in their RV's full-time? They surely want some entertainment here and there as well. You can argue it if you want but one thing is for sure, televisions are here to stay in the RV industry. Heck, some RV entertainment systems are better than the systems in most people's homes! 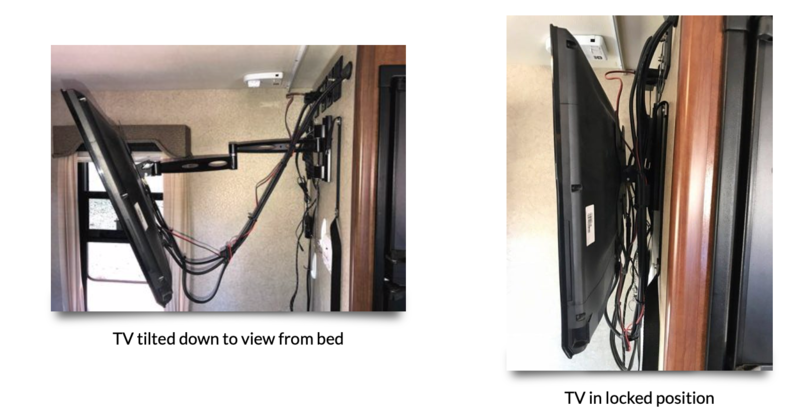 If you install a 12 volt RV TV where there wasn't one before, consider getting a VESA mount with an articulating arm. This will allow you to place the TV where you can best view it. The articulating arm will also allow you to adjust the angle of the TV for best viewing, such as when you are in bed watching. The arm should also be able to lock so when the RV is in motion, the TV doesn't move around and get damaged. Below are pictures RV TV mounted on an articulating VESA arm. This installation was done at the Lance factory. The arm locks against the wall when I am moving, so the TV doesn't flop around. "Do I need a TV made specifically for RVs?" It's a good question. We have done a lot of research regarding RV TVs and we are going to share our conclusion on the subject regarding if you need to get an RV TV, or if you can simply get a regular 'home brand' television. The biggest RV TV player we have come across is Jensen. This brand is made by ASA Electronics. They are by far the leading manufacturer of electronics specifically designed for marine and RV applications. 1. They say that they build quality by "expertly designing each product from the ground up and validating all designs through extensive testing that is primarily conducted in our own on-site test lab". 2. They claim that their products are "strenuously tested to endure real life conditions such as high vibration, UV exposure, humidity, water spray, and extreme temperature fluctuations commonly encountered in mobile environments." "One of the first things (we do differently) is the internal chassis, where the wall-mount brackets attach to the TVs substructure. This is significantly strengthened to allow us to make sure that the TV will not break-free of the mount due to a major impact (such as a bad pothole or a bumpy road)." "We test both our TVs and some competitors TVs in a vibration chamber that shakes the TV while mounted in RV fashion. We have seen many 'home' TVs break free during this comparative testing, specifically units that mount only to the plastic housing." "Our TVs are also tested to verify they will hold up to the common temperature & humidity extremes that our RV customers may experience from summer through winter. Specifically, we test our TVs to these conditions: Operating Temperature Range -4°F to 149°F (-20°C to 65°C); Storage Temperature Range -22°F to 158°F (-30°C to 70°C); and a maximum 90% relative humidity." "Robust internal electronics, including conformal coated circuit boards, add to the durability of the product." And finally, "TVs made for 'home' use are fine when used in the climate-controlled, stationary installation of a home's living room. Will they hold up as well while traveling through the various road and weather conditions that many RVs encounter? Possibly." Huh. Ok... that sounds good and all, but how well do 'home' TVs perform in an RV? Do they really ever break from usage in an RV? We needed to find the answer to this frequently asked question. And guess what? We found what we were looking for. We asked the question, to many of our fellow RVer friends: 'Have you ever used a regular off-the-shelf TV brand in your RV? Something you got from Amazon, Target or Wal-Mart? It's true. Many people have used 'regular' TVs in their RV's for years without issue. Over and over again people have concluded that they have had a regular TV in their RV for 3, 5, even 10 years with no trouble. Not once have we heard or read a person saying their regular TV 'broke' off of its mount in their RV. Or that it 'froze' during the winter and didn't work again after that. Or that the internal components got too wet from condensation, killing the TV. We're not claiming that such scenarios have NEVER happened before, but we haven't found a single case yet. Now, Jensen does proclaim to use parts that are resistant to corrosion. The only time you really are going to deal with the possibility of condensation is during temperature changes. When a cold TV warms up quickly, condensation forms throughout the device. If you plug it in or turn it on at that time, it could result in short circuits, shock, or have some other type of terminal failure. If you simply keep this in mind, you never have to worry about that. Simply give it about 24 hours to acclimate. Now you don't need a special TV with components that are 'more' resistant to corrosion. Sure, TVs occasionally die, for a variety of reasons. but had lots of 'regular' TVs (in RVs) been dying due to things like too much humidity, heat and freezing temperatures, or excessive shaking, you would hear about it through blogs, forums and word of mouth.